“Safety for all road users”. 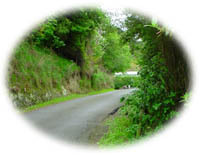 The Association maintains a record of community road safety projects. The current status of these projects is summarised below with input and progress being identified by observation, networking and as actions raised at meetings. Work required: Reduce speed limit from Open Road to 60kph. Update: July 2006. New 70kph speed limit imposed. Two year trial. Update: July 2006. 50kph limit extended. Two year trial. Glenside residents undertake traffic counts on Middleton Road, including pedetrians and cyclists. A Glenside resident meets with Johnsonville Police expressing concern at the speeding along Middleton Road. Snr Sgt Buttar e-mails his staff asking them to have a presence on Middleton Road rural policing speeding drivers. Residents encouraged to make submissions for funding the walkway through the Long Term Council Community Plan in the February issue of the community newsletter. Steve Spence of Wellington City Council meets with residents to discuss the Ngauranga Triangle transport project. The meeting advises him that the community priority is for funding a combined cycleway and walkway along Middleton Road. Mr Spence agrees that this could be considered as part of the Ngaraunga study and will take the community view back to Council. He asks what number of cyclists currently use the road daily, as Council has not undertaken traffic counts on this. He is advised that it was counted by a resident several years ago and was in the vicinity of 150 daily. Walkway discussed at Assn. community meeting. Councillors to be surveyed on what they are doing with regard to getting a Walking Strategy on the Council planning cycle and to ask them to have the 2005 plan revisited with a view to costing less. Concern that Northern Ward Councillors are not actively seeking and monitoring road safety issues in the Ward. Land Transport NZ crash list report for Middleton Road provided to the meeting and discussed. GPA President meets with WCC roading engineer Stephen Harte and expresses concern that lighting could be installed without a walkway and prevent a walkway going in. He advises that it is possible lighting could go in without a walkway on Middleton Road as the funding comes from different budgets. He notes that nothing will be done this forthcoming financial year on lighting or walkway as it has not been budgeted for. GPA President notes that cyclists have an e-petition City Council web-site for lighting along the rural part of Middleton Road that opened 18 April and closes 18 July. GPA President e-mails Chair of Combined Northern Ward Residents Assns. and asks for Traffic Safety to go on the agenda. Issues of concern include no safe crossing for children at round-abouts, top end of Middleton Road; no dedicated policing presence for traffic safety based at Johnsonville Community Policing Centre; Walking Strategy dropped off Council's agenda; no works progressed on making Johnsonville's main street safer at the southern traffic light intersection. President discussions concern about speeding traffic on Middleton Road with Senior Sergeant Marty Parker of Johnsonville Police as a result of a complaint from a resident. Combined Middleton Road walkway/cycleway introduced into the Council’s 10 year plan. Middleton Road Walkway Landscape Plan prepared for City Council with indicative costs. Includes a combined walkway/cycleway. Shoulders sealed. Regular road sweeping now in place. 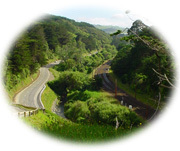 Work required: Extend footpath to Takapu Railway. Location: Willowbank Rd to Westchester Drive East along Middleton Road. Work required: Improved road signage at all corners. Meeting with WCC roading engineer Stephen Harte. The Assn. advises him there was another accident on Piebald corner and requests the advisory signs be installed as was required as part of the 2003 Road Safety plan. He will look into it. Assn request to WCC Traffic Unit to install the speed advisory signs as promissed. WCC Traffic Unit advise that speed advisory and cycle/horse warning signs are being designed. WCC commitment to complete in 2005 as part of the speed limit reduction. Work required: Identify & provide laybys for safe off road parking. Update: See Item 7. Sites identified in the Middleton Road Walkway Project proposal. Three railway heritage enthusiasts are taken on a tour of railway and WWII heritage in Glenside by Assn. president Claire Bibby. The Glenside website is updated with images of WWII infrastructure. The railway enthusiasts are Mike Mellor, Brent Efford (editor of Tramway Topics magazine) and Dave Parsons. Milkstand at 400 Middleton Road listed on WCC District Plan as heritage. Submission made to include the milkstands and anti-tank traps on the WCC District Plan heritage list. Work required: Walkway from Glenside Reserve to Seton Nossiter park. Footpath discussed at Assn. meeting. The community needs to identify its priority - having the Middleton Road cycleway/walkway funded, or having the Westchester Drive East walkway funded. This will be discussed at the April 2009 meeting of the Assn. WCC Parks & Reserves provide an update to the Assn. meeting. WCC intend to put an access from Glenside Reserve to Seton Nossiter Park via Motorway Interchange on Westchester Drive East. WCC are still thinking footpaths flush to road edge rather than walkway with grass buffer. The Assn. reminded Council that the foot bridge is on the north side of the interchange and requires access across Westchester Drive East and the proposed round-about. Council & Community Vision not aligned. Council want footpaths flush to road edge. The Association wants a walkway or a foothpath with a grass buffer to road edge. Initial discussions held 2003 and in continued in 2004 submission on the Lincolnshire Farm development adjacent to Grenada Village. Additional road advisory signs are not supported by Council. City Council names the road from the interchange up to Mark Avenue Grenada Drive. Grenada Village & Glenside Assn. seek an update from Cnrs Wain and Best at the Northern Ward Combined Residents Assn. meeting. Council consults on road names for Westchester Drive East and road from interchange to Mark Avenue. Association suggests Halfway Hill. No decision made. Renamed Westchester Drive East as temporary measure. Location: From Middleton Rd to Stebbings Dam and up Stebbings Valley to Marshall Ridgeline and Ohariu Ridgeline. 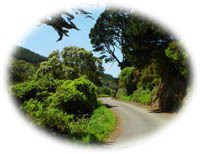 Work required: Combined horse and walkers trail to provide access to Marshall Ridge, Stebbings Valley and Ohariu Ridgeline. Barry Blackett and Claire Bibby of the Assn. meet with Cnr Wade-Brown, Cnr Ngaire Best, and Council officers Amber Bills and Brent McKay. The Assn. registers its disapproval at Councils handling of DP33 in which the developer seeks the lifting of Hilltops and Ridgelines overlay and links it with his Stebbings Valley Reserves Agreement. It appears to the Assn. that there is no plan to link a reserve walkway from Stebbings Dam to Marshall trig or for the retention of the Hilltop and Ridgeline overlay at its most publicly visible areas. Community and Council meet on site to discuss Westchester Drive extension. Cnr Celia Wade-Brown reminds Council of the proposal for a walkway. It will partially be on Stebbings Road. Unclear how and where it connects at Middleton Road end or where it goes after reaching Stebbings Dam. Walkway included in Westchester Drive link road planning. Cnr Andy Foster asks Council Officers to negotiate for a walkway as part of Stebbings Valley development. Assn. submission to Open Space Access Plan. Walkways now progressing through Outer Green Belt and Open Spaces Access plan for walkways. Work required: Clear stream passage so that stream flows under Rowells Road instead of over it in wet weather. Status: Started 2007. Now completed. Stream passage cleared. Road reinstated. Road collapses for the second time in two years in a washout caused by water overflowing the road. The Assn. asked WCC Traffic Safety to clear it. On site meeting to be arranged.